1. Definitions: In this agreement: Torquay Surfing Academy means Torquay Surfing Academy Pty Ltd, and includes, where the context so permits, its directors, officers, servants or agents; “Claim” means and includes any action, suit, proceeding, claim, demand, damage, cost or expense however arising including but not limited to negligence; and “Hired Product” means the surfing or other aquatic recreational equipment hired by me from the Surf School. 2. 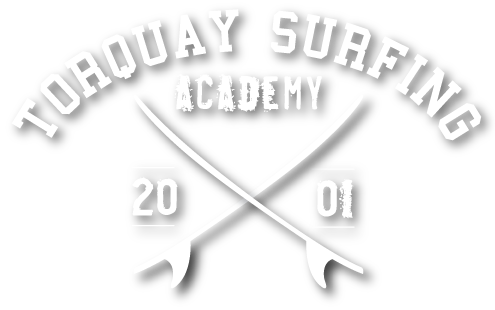 Security: If required by Torquay Surfing Academy, I will provide Torquay Surfing Academy with a security amount which will be held by Torquay Surfing Academy for the duration of my hire of the Hired Product and, subject to clause 7 below, refunded to me upon return of the Hired Product. 3. Warning: Surfing and the use of the Hired Product (even in accordance with its intended use) can be inherently dangerous. I acknowledge that I am exposed to certain risks in using the Hired Product including but not limited to physical hazards, unpredictable and sometimes dangerous surf and weather conditions and actions of other persons. I acknowledge that accidents can and often do happen which may result in me being injured or even killed, or the Hired Product being lost or damaged. I have voluntarily read and understood this warning and accept and assume the inherent risks in using the Hired Product. 5. Be liable to me for any loss or damage sustained by me as a consequence of any incorrect advice, recommendation, information or services provided by Torquay Surfing Academy regarding the Hired Product or the methods or conditions of use of the Hired Product whether such loss was caused by any act of negligence, act of recklessness or any breach of any duty of care which may be owed to me by Torquay Surfing Academy. 6. Exclusion of Implied Terms: Where I am a consumer of recreational services, as defined by any relevant law, certain terms and rights usually implied into a contract for the supply of goods or services may be excluded. I acknowledge that these implied terms, as well as other terms and rights implied into consumer contracts by statute, and any liability of Torquay Surfing Academy flowing from them, are expressly excluded to the extent possible by law, by this agreement. To the extent of any liability arising, the liability of Torquay Surfing Academy will be limited to the resupply of the hiring services or payment of the cost of having the hiring services supplied again. Torquay Surfing Academy’s liability does not extend to consequential loss. 7. Release and Indemnity: In consideration of Torquay Surfing Academy agreeing to hire to me the Hired Product I, to the extent permitted by law: (a) release and will release Torquay Surfing Academy from all Claims that I may have or may have had but for this release arising from or in connection with my hire and use of the Hired Product; and (b) indemnify and will keep indemnified Torquay Surfing Academy in respect of any Claim by any person arising as a result of or in connection with my hire or use of the Hired Product. 8. Damage to Hired Product: I agree to accept all responsibility and liability for any loss of or damage to the Hired Product (however caused) which occurs during the course of my hire of the Hired Product. I agree to compensate Torquay Surfing Academy for any and all loss of or damage to the Hired Product (including, if required by Torquay Surfing Academy, the replacement of the Hired Product) which may occur during the course of my hire of the Hired Product and authorise Torquay Surfing Academy to apply any security amount provided by me to Torquay Surfing Academy against the costs of such compensation. 9. Fitness to Participate: I declare that I am medically and physically fit and able to participate in the sport of surfing and to use the Hired Product. I understand and accept that Torquay Surfing Academy will rely upon this agreement as evidence of my fitness and ability to properly use the Hired Product. 10. Privacy: I understand that the information I have provided above is necessary for the objects of Torquay Surfing Academy. I acknowledge and agree that the information will only be used for the objects of Torquay Surfing Academy and its general business. I understand that I will be able to access the information through Torquay Surfing Academy upon reasonable notice. If the information is not provided my application for hire may be rejected. 11. Severance: If any provision of this agreement is invalid or unenforceable in any jurisdiction, the phrase or clause is to be read down for the purpose of that jurisdiction, if possible, so as to be valid and enforceable. If the phrase or clause cannot be so read down it will be severed to the extent of the invalidity or unenforceability. Such severance does not affect the remaining provisions of this agreement or affect the validity or enforceability of it in any other jurisdiction. 12. Governing Law: This agreement is governed by and construed in accordance with the law of the State of Queensland and the parties irrevocably submit to the jurisdiction of the courts of that State. 13. I have provided the information required above and I warrant that all information provided is true and correct. I acknowledge this agreement cannot be amended. If I do amend this agreement it cannot be accepted by Torquay Surfing Academy. I have read, understood, acknowledge and agree to the above terms including the warning, exclusion of implied terms, release and indemnity. ABN 42 462 045 095. Any cancellations of a hire will be credited to the customer’s account. Refunds are accepted on any product purchased in Torquay Surfing Academy store Torquay for a period of 7 days from date of purchase. Product must be returned with purchase receipt and in original condition.